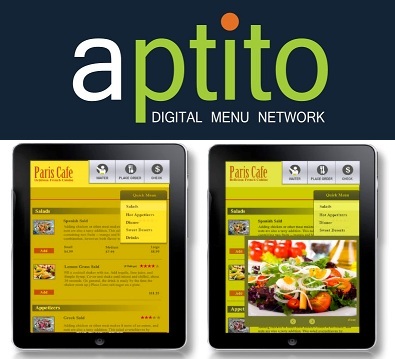 First off, Aptito (in their own words), is a company that seeks to take an “evolutionary step for restaurants that are seeking to increase customer awareness and loyalty” by offering “digital menus” available on “sleek and easy-to-use tablets”. 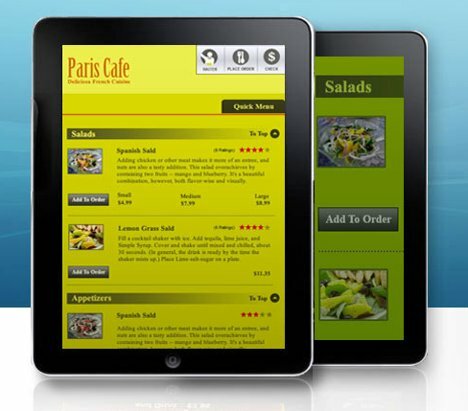 The company has already been mentioned by some well-known organizations such as Forbes.com and Reuters, and you can begin leasing digital menu tablets right now for only $7 a month! Next, Aptito is brilliant because of what this means if you are a restaurant manager. Namely, that paper menus are becoming obsolete, an observation the company is capitalizing on. With Aptito you will no longer have to tediously design, buy and print regular restaurant menus while your customers get a sleek and futuristic restaurant experience. The company also allows you to quickly and efficiently update these menus so that you can avoid printing out daily specials pages and ordering more paper menus when you run out. 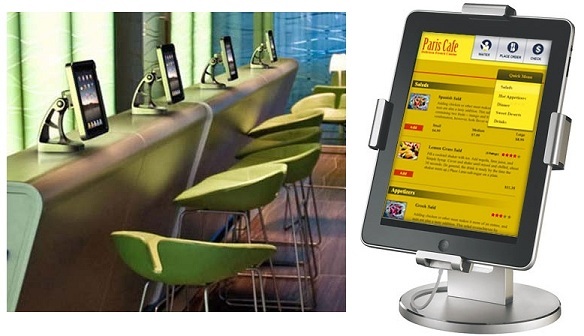 Customers even submit their meal selections wirelessly via the tablet. In addition, Aptito is another example of how with a little creativity, a lot of brainpower and a product, you can migrate to the services industry and enjoy consistent revenue. And for my last question, I guess that the answer is yes: Tito from Rocket Power and Aptito are in fact affiliated. Albeit unknowingly, both share a love for food and making the eating experience more enjoyable and attractive. Jesse Braunstein is a Junior at NYU double majoring in Economics and Psychology. Jesse joined Madison Technology and SheBytes.com in May 2011 as a summer intern. Jesse has been instrumental in utilizing his expanding background to come up with creative perspectives on the Marketing, Advertising and Business Development initiatives at both Madison Technology and SheBytes.com. Jesse’s outlook stems from an Economics and Psychology education and a deep understanding of the individual and how the individual acts within and interacts with the market. Follow Jesse on Twitter and Facebook.